Signs that people went to great lengths to obtain grains despite the hard work needed to make them edible, plus the knowledge that feasts were important community-building gatherings, support the idea that cereal grains were being turned into beer, said archaeologist Brian Hayden at Simon Fraser University in Canada. "Beer is sacred stuff in most traditional societies," said Hayden, who is planning to submit research on the origins of beer to the journal Current Anthropology. The Neolithic peoples living in the large area of Southwest Asia called the Levant developed from the Natufian culture, pioneers in the use of wild cereals, which would evolve into true farming and more settled behavior. The most obvious explanation for such cultivation is that it was done in order to eat. Hayden told LiveScience he has seen that hard work for himself. "In traditional Mayan villages where I've worked, maize is used for tortillas and for chicha, the beer made there. Women spend five hours a day just grinding up the kernels." 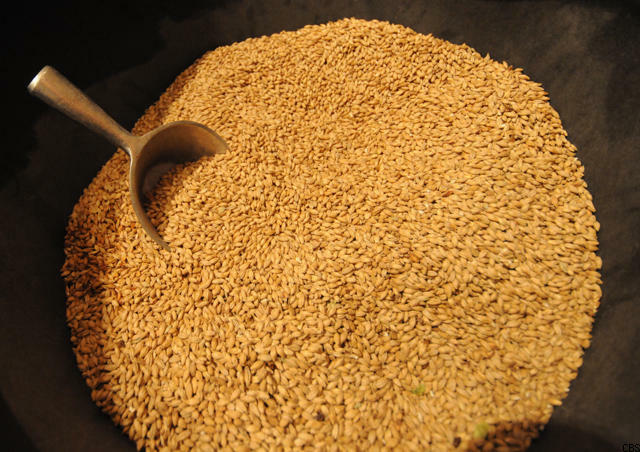 However, sites in Syria suggest that people nevertheless went to unusual lengths at times just to procure cereal grains — up to 40 to 60 miles (60 to 100 km). One might speculate, Hayden said, that the labor associated with grains could have made them attractive in feasts in which guests would be offered foods that were difficult or expensive to prepare, and beer could have been a key reason to procure the grains used to make them. Feasts would have been more than simple get-togethers — such ceremonies have held vital social significance for millennia, from the Last Supper to the first Thanksgiving. "Feasts are essential in traditional societies for creating debts, for creating factions, for creating bonds between people, for creating political power, for creating support networks, and all of this is essential for developing more complex kinds of societies," Hayden explained. "Feasts are reciprocal — if I invite you to my feast, you have the obligation to invite me to yours. If I give you something like a pig or a pot of beer, you're obligated to do the same for me or even more." "We still don't have the smoking gun for brewing in the Natufian, with beer residues in the bottom of stone cups or anything like that," Hayden said. "But hopefully people will start looking for that — people haven't yet."